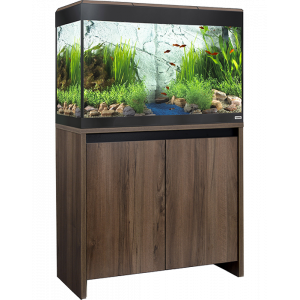 The Fluval Roma 125 tank is a rectangular aquarium designed on clean, simple lines to bring sophistication to modern home decor. 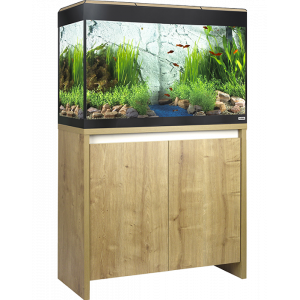 The tank contains fluval U3 internal filter, double light unit with two glo T8 light tubes, fluval heater, LCD thermometer, and a care guide. The new tanks come with a LED light unit instead of the T8 light unit and bulbs. Stand size:- W80 x D35 x H72 cm.